Slot machine uses text instead of graphics. Is there a better alternative to Text Slots? Is Text Slots really the best app in Card and Board category? Will Text Slots work good on macOS 10.13.4? 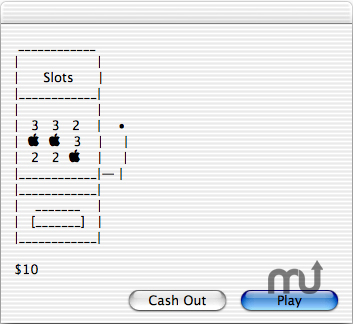 Text Slots is a small simple slot machine, that uses text instead of graphics. It is nothing great, but it should be mildly amusing for a couple of minutes. Text Slots needs a rating. Be the first to rate this app and get the discussion started!